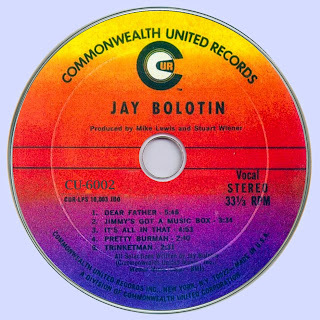 The story goes that Jay Bolotin’s eponymous debut album was released in 1970 on the major label subsidiary Commonwealth United Records. The collection of sad, low-key introspective ballads were written in New York city, a long way from home for the 20 year old Kentucky native; the songs are haunted by images from his family and childhood. A band was assembled for him consisting of Kenny Lyon on Bass and Mark Taber on Piano and Harpsichord, both of who were even then veterans of Providence, Rhode Island music scene; Bobby Mason (of the Fugs) on drums and percussion, and David Mowry on guitar. 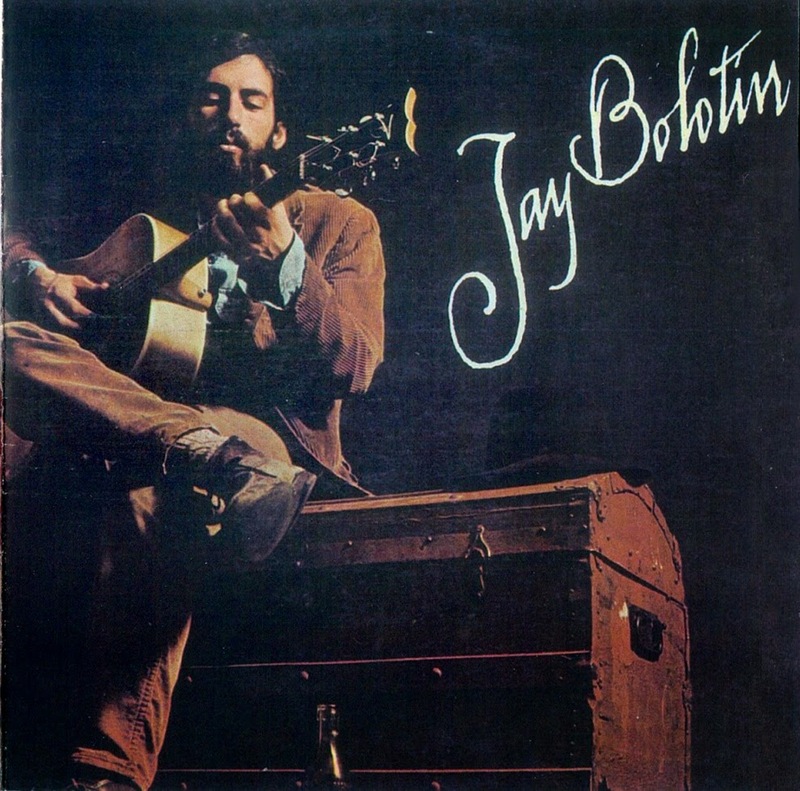 You can almost taste the yearning in his voice, but unlike (say) Leonard Cohen there’s a warmth and Southern resonance to it, and it’s little surprise that at the time he was championed by keen eared artists such as Kris Kristofferson. The arrangements are sympathetic yet unfussy, with just voice and guitar when that's all that's called for, plus electric bass, keys and drums when the mood requires it - plus less common touches such as harpsichord, celeste and miscellaneous percussion. 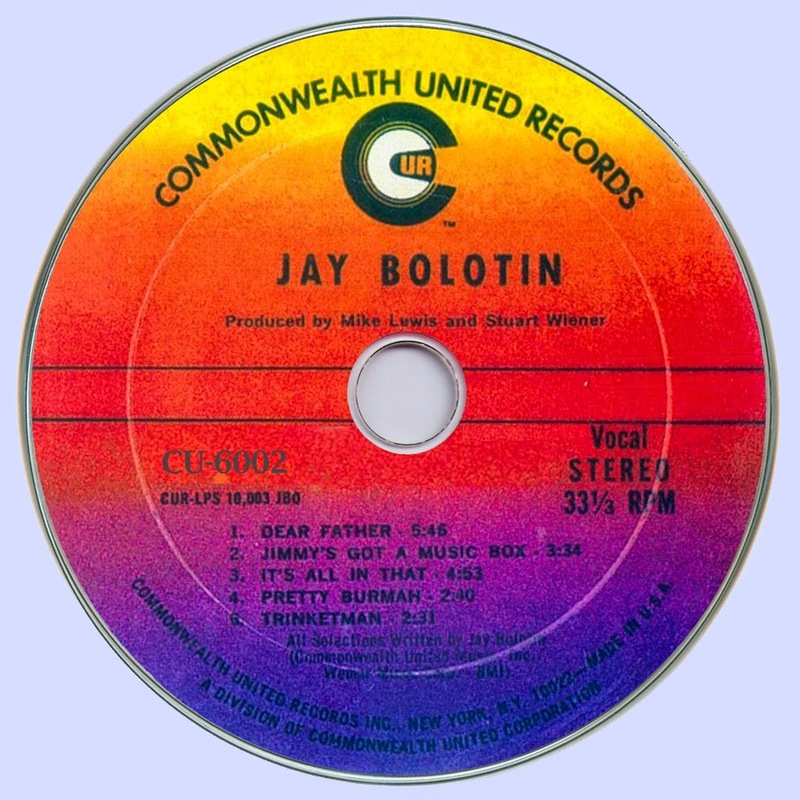 ‘It’s All in That’ is arguably the strongest song on here – very much in a similar mould to David Ackles’ ‘Road to Cairo’, and the equal of it in terms of sheer originality. The opening ‘Dear Father’ will also pull you in and hold you close, with a visceral immediacy which pervades the whole album. Obviously here at the Terrascope we have an affinity for both Kentucky and Providence given the Terrastock festivals we have staged there, but the mental sparks and flickers that this album ignites don’t end there. Fans of Tom Rapp and Pearls Before Swine and in particular, the aforementioned late lamented David Ackles will want to check this out immediately.